Step out the back door into a your own picturesque natural bush-land setting to share this tranquil space with the bird-life and bush wallabies, or exit the front door for a leisurely stroll to the sports fields and Maclean’s CBD. This very special property is located on the Northern side of Maclean Hill in a sought-after flood-free position with pleasant views towards the sports field and beautiful Clarence River in the distance. The upper level of this spacious brick & tile home offers a generous sized lounge room, dining area, kitchen, bathroom, balcony's front & back and three decent sized bedrooms, two with floor to ceiling built-in robes. The downstairs area has a drive through garage with remote control entry plus internal access to the home, a large utility room / extra living area, laundry, bathroom and great sub-floor storage. Features throughout the home include air-conditioning, large windows that capture the desirable breezes plus scenic outlook, disability support rails and a personal chair-lift. The 1,888m2 block has beautiful established gardens, plenty of level yard space, a well with pump for garden irrigation and a pocket of established trees & shrubs that complete the package nicely. The substantial brick & tile home and ideal location will be very appealing to a range of buyers. 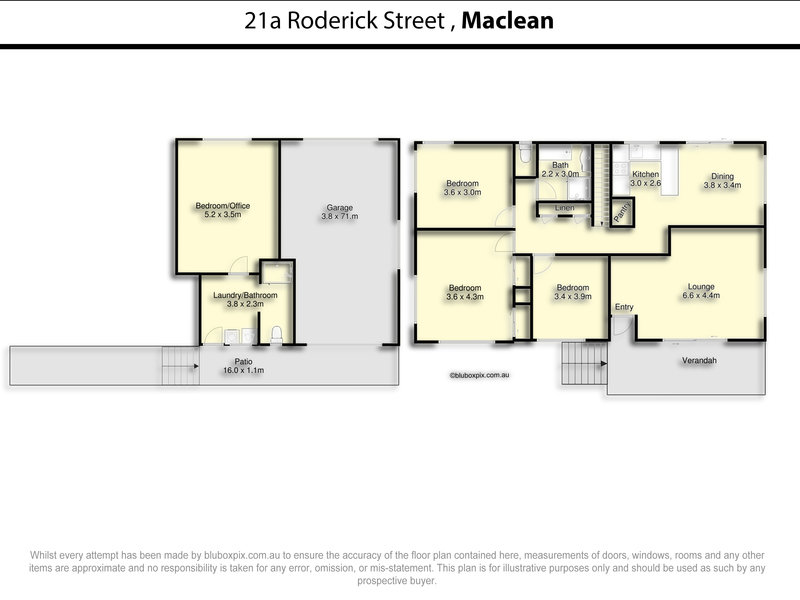 For your chance to view this great property contact the listing agent Ken Bolton on 0402 405 000.